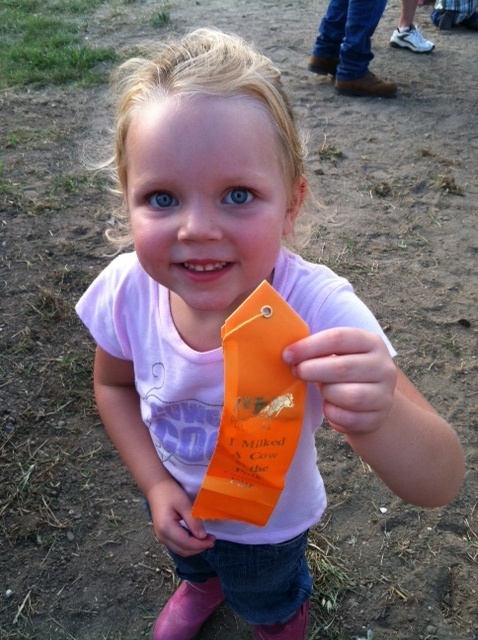 Here are some pictures of the kids at the Polk County Fair with their ribbons from the cow milking contest. Every kid gets a ribbon, but the fastest kids get special prizes. 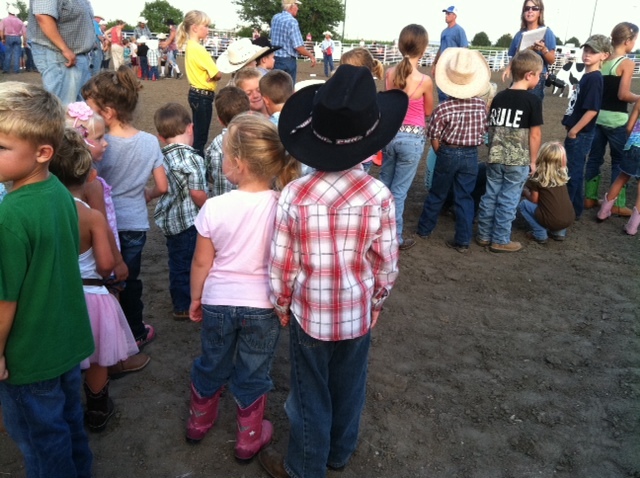 There are several events in the Junior Rodeo, including cow milking, goat tail tying and mutton busting. They use a wooden cow for the milking, but a real goat and real sheep are used for the other two events. 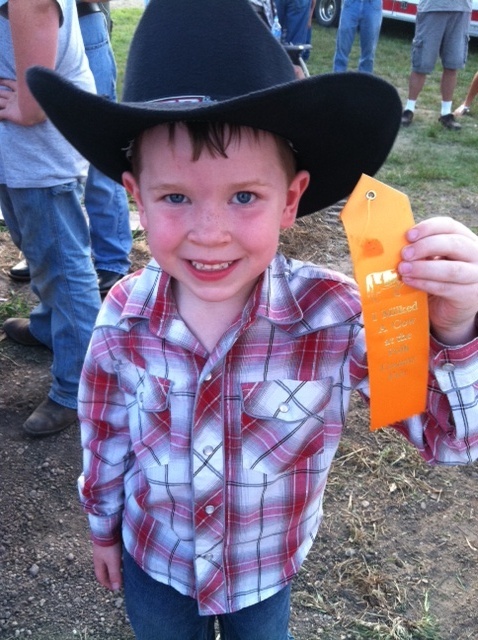 The boy loves getting “cowboyed up” for the fair and has ridden sheep for two years. This year, the nerves got the best of him. The girl rode for the first time this year and didn’t even flinch. She is fearless and will be the cause of many future gray hairs. Most of the county fairs are over for the year, but the Nebraska State Fair in Grand Island begins August 26th. This will be the second year for the fair in GI. If you haven’t been to the fair since it moved or if you have never been to the fair in your life, you should really check it out. Gate admission is inexpensive and there is so much to do and EAT!!! I was born and raised in Fremont, Nebraska and am a self-proclaimed “city girl.” After meeting my husband, Seth, at Midland College, I moved back to his family farm for the culture shock of my life. Between raising kids, corn and livestock, plus working a full-time job, the last nine years on the farm have flown by. Farm life for me is crazy, but wonderful. This entry was posted in Uncategorized and tagged agriculture, Common Ground, family, farm, farm family, Nebraska. Bookmark the permalink.